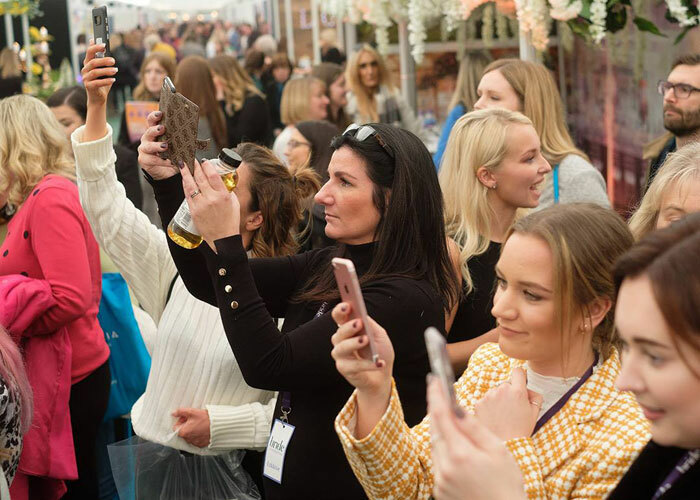 A wealth of local wedding suppliers turned out in force to meet and greet brides and grooms at Bride: The Wedding Show at Tatton Park in Knutsford. 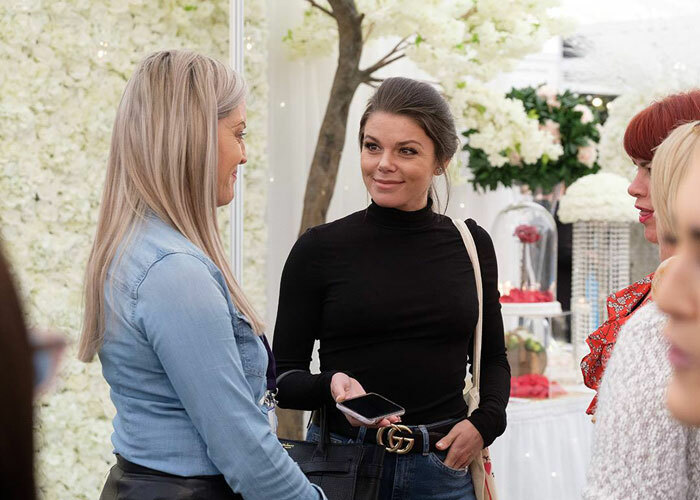 Showcasing their products and services while offering expert advice, businesses used the event as a platform to connect with couples planning their special day. 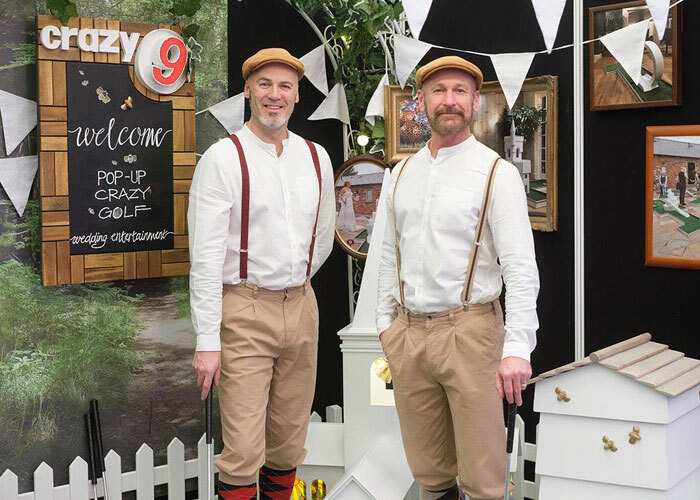 Bridal boutiques, stationers, cake makers, transport providers, venues, photographers, florists, menswear suppliers and more were all on hand throughout the weekend to guide and advise couples in their choices. 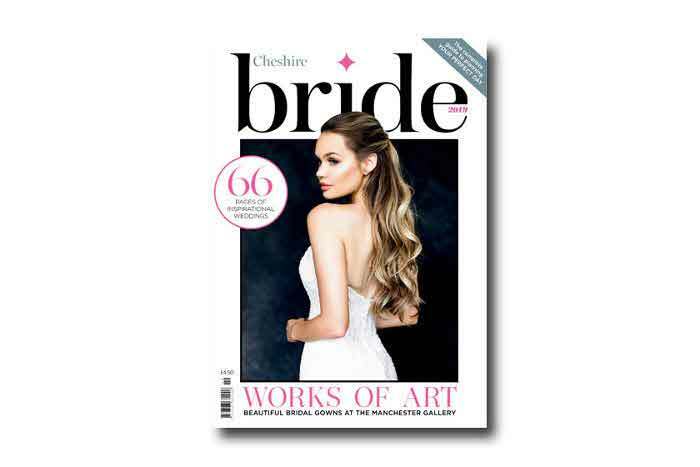 A plethora of exciting competitions to enter and show-exclusive deals were on offer, as well as complimentary copies of Cheshire Bride and Cheshire Life magazines. Mahood Marquees provided a fully dressed marquee area fit for a wedding reception, while All About Me - Marquees & Events delivered a captivating tipi set-up complete with atmospheric lighting and fire pit. Feature sponsor Springbank Flowers showcased its fine art approach to floristry with displays at the entrance of the venue and in Tenants’ Hall. The Springbank Flowers stand transformed the business branding from white to black, with a striking wedding table set beneath a ceiling bedecked with foliage. 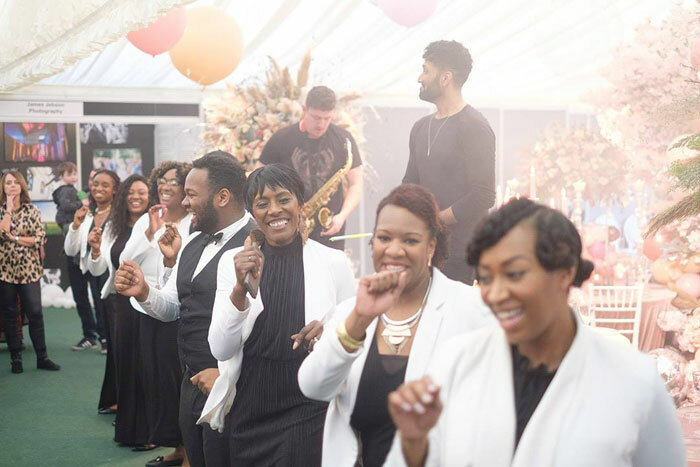 Anna-Liisa Evans, creative director for Springbank Flowers - which is based in Manchester, said: "With 30 years of experience under our belt, our gamble of turning white into black has been brilliantly received." Musical entertainment was provided by a host of local artists including The Pedal Tones, AMC Gospel Choir, String Infusion, and Soul-Revolver. 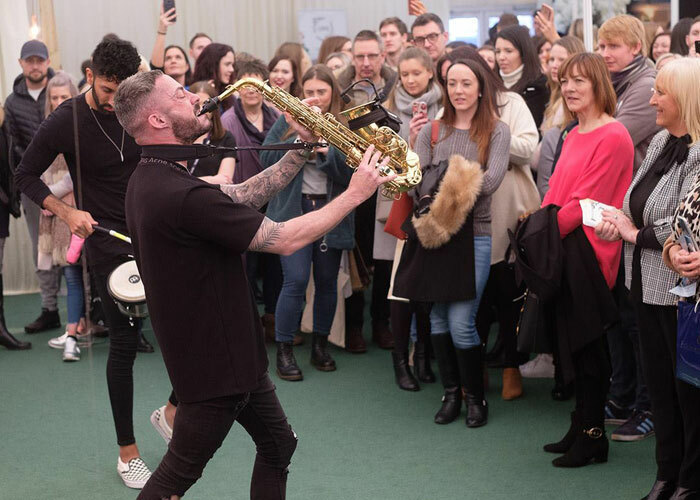 Six15 Events also delighted crowds at the prosecco bar with high energy performances set against a beautiful balloon-filled backdrop created by Red Floral. Visitors were further entertained by the sensational catwalk show which had audiences singing – and dancing – along. 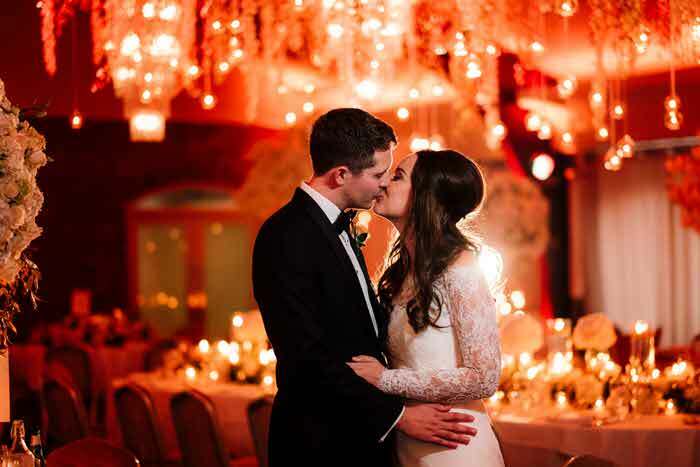 Set to an unforgettable soundtrack, the latest fashions in wedding wear were paraded amid awe-inspiring choreography. 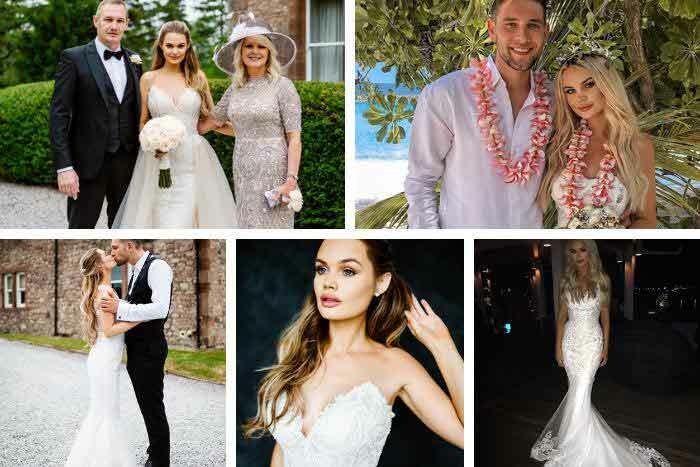 Show-goers took inspiration from the gowns, suits and outfits presented, with offerings from local businesses such as J&J Designs, Slater Menswear, Along Came Eve, Maria Morris, Maria Modes & Cheshire Menswear, Cheshire Bridal Wear, Groom and 7th Heaven Bridal. 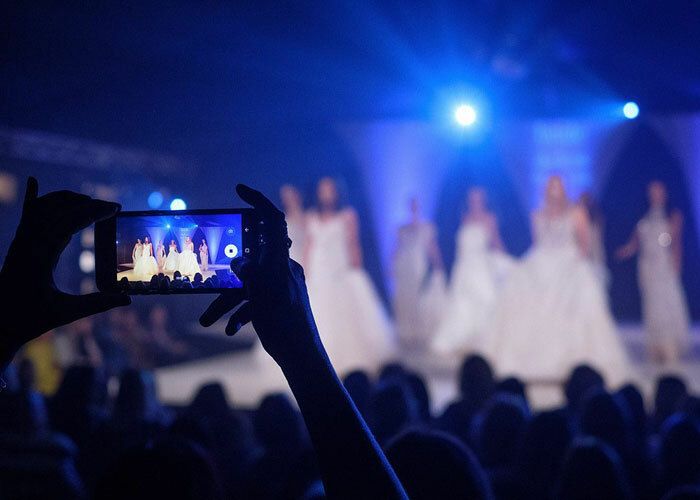 Thousands of brides-to-be left the show armed with ideas for their big day, including Coronation Street actress Faye Brookes who is set to marry pop star Gareth Gates. 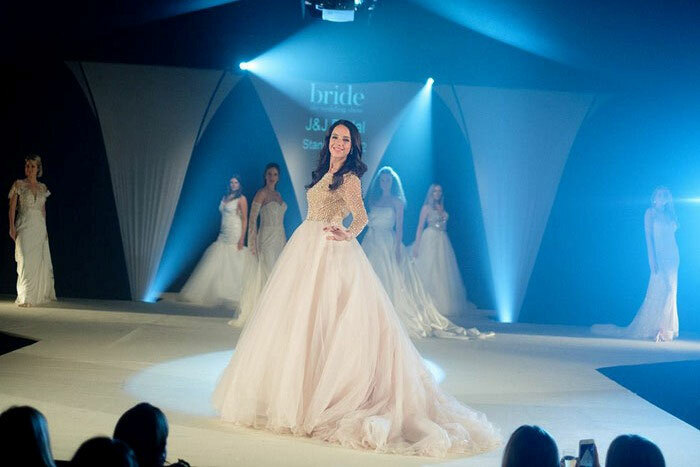 Bride-to-be Sarah Hughes who attended the show with her maid of honour Claire Mottershead, both from Stockport, said: "I was blown away. I came for ideas and I didn’t know there was so much to consider. Every single person we’ve spoken to has been so helpful and lovely. We were shell-shocked by the catwalk, it was so good. It’s been brilliant. The best day ever." 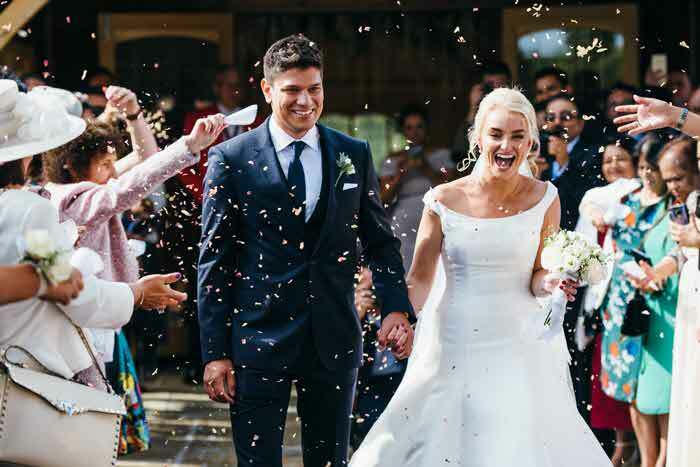 Brides, grooms and guests are invited to attend Bride: The Wedding Fair at The Mere Golf Resort and Spa on Sunday 17th March. 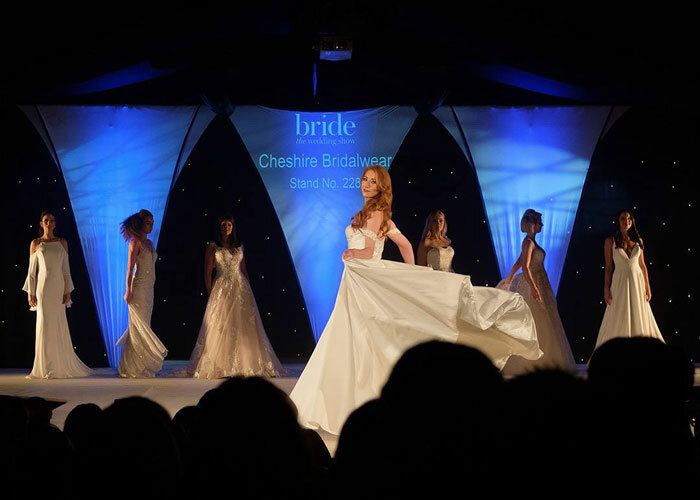 For further information, visit https://oneday.bridetheweddingshow.co.uk/show/cheshire-spring/.